Model Storm is well-balanced in weight and sound. The sound is rich in harmonic content, light and smooth and controllable at louder dynamics. This is the perfect instrument for musicians who prefer less weight and a big sound. It is Jack-of-all-trades, with easy response and reliable slotting. 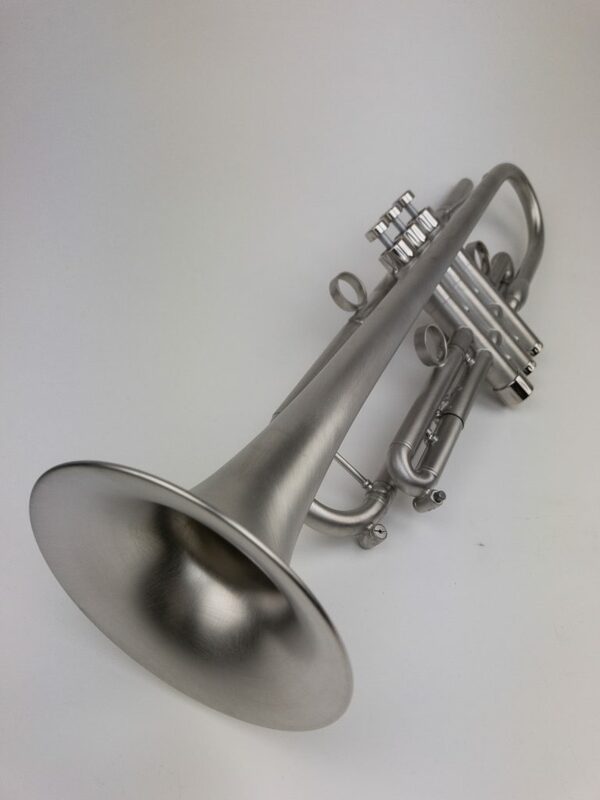 This is definitely a bright and comfortable instrument that is easy to blow! Thanks to Sven Klammer for recording. 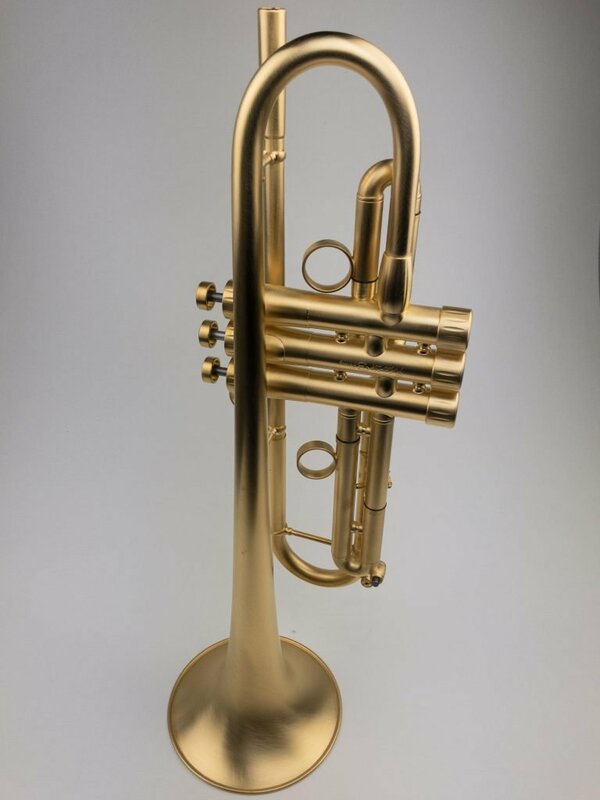 Trumpet players who prefer high resistance and a heavier weight should take a look at this model. The solid design has a strong and rich sound. It has a high-load capacity in playing forte giving it a good projection and the ability to easily play in a group. 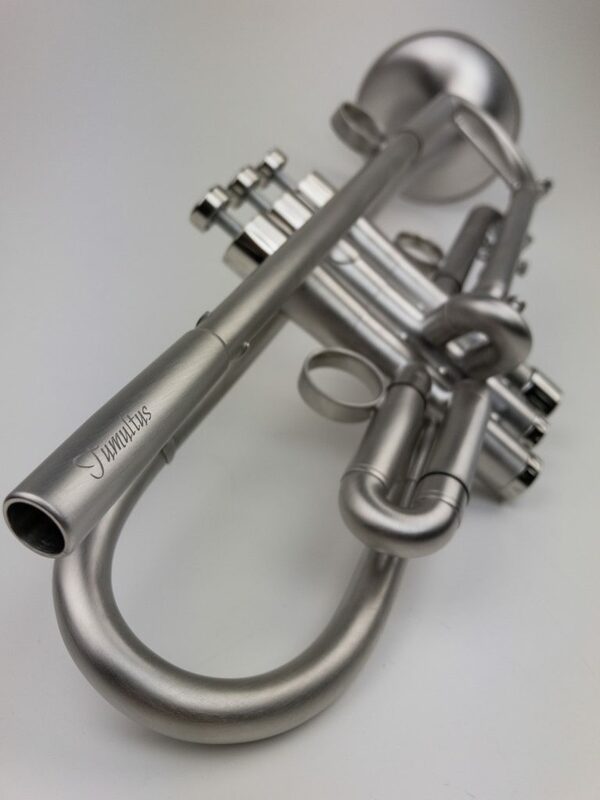 Tumultus is a heavy-weight trumpet. 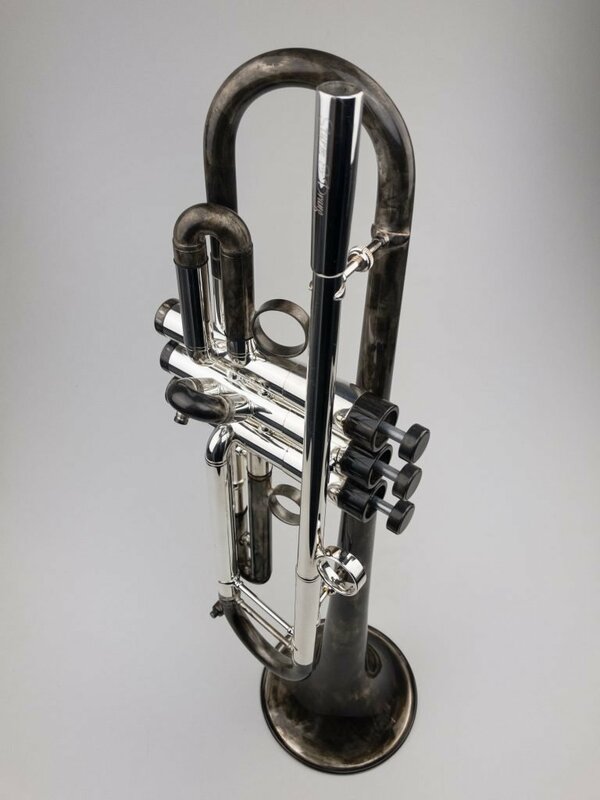 With this specially designed reverse lead pipe, you have an extra free-flow effect and instant feedback while playing. 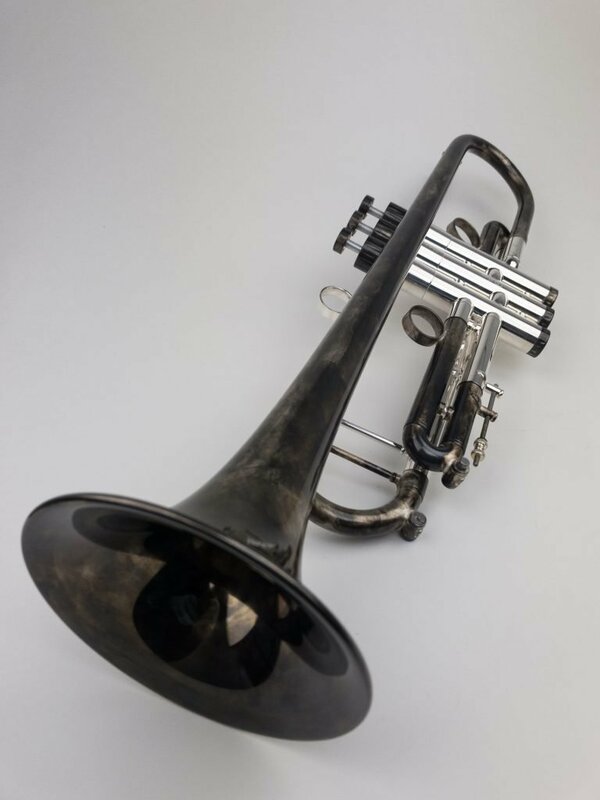 The instrument´s L bell produces a dark and strong sound on your trumpet without failing in the center of its range at higher dynamic levels. 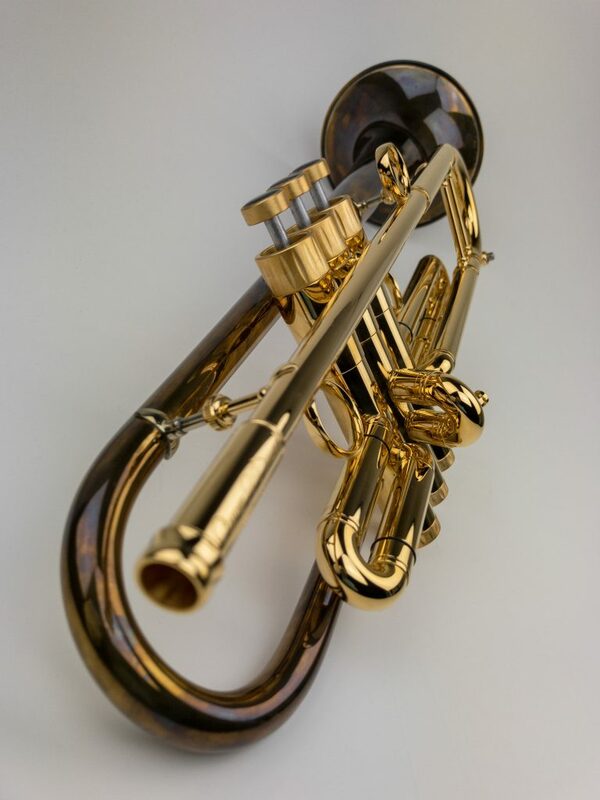 It is a great model for jazz music and an soloists. 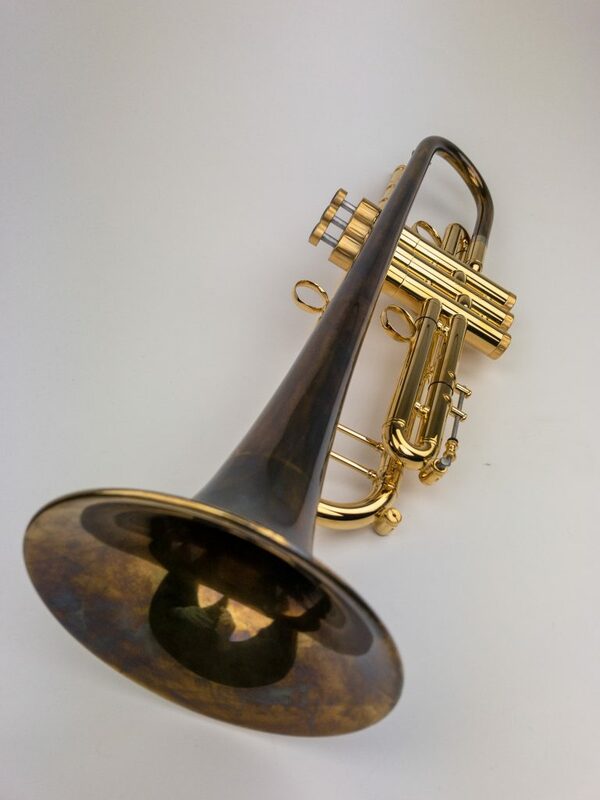 For musicians who want to play in the very high registers, there is another bell, the M bell. Your sound will be brighter, crunchier and more centered. 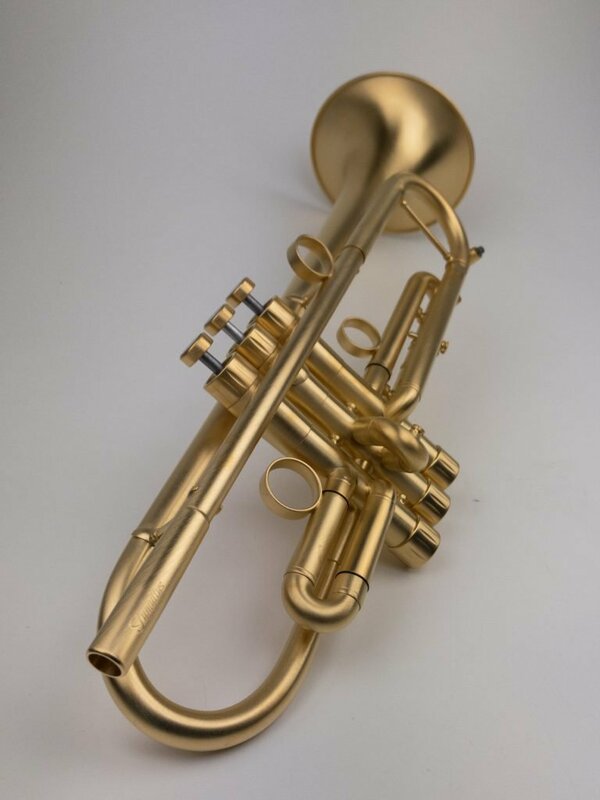 THE trumpet for big bands and brass bands.